This earring is made of sterling silver. The pendent measures around 1/2" x 1 3/8". It has a disk on the back with "Protect this Woman" stamped it. The ear wire is about 1 1/2" long. It's design is inspired by African mud cloth. 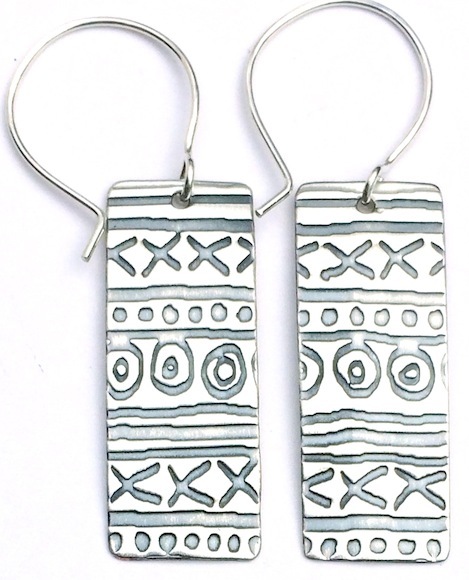 Click the button below to add the Long Mud Cloth Earring with ""Protect this woman" to your wish list.